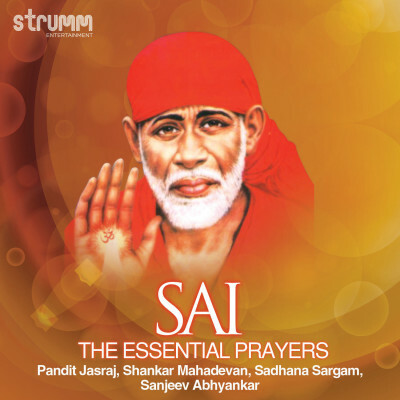 Popular essential prayers of Shri Sai Baba including Aartis, Stotras and Dhuns in one album. Includes Kakad Aarti that is sung early in the morning at the Shirdi Temple. Brand New 2014 recording that includes the major singers of Devotional music: Pandit Jasraj, Shankar Mahadevan, Sadhana Sargam, Sanjeev Abhyankar. Featuring Pandit Jasraj and Sadhana Sargam in a duet on Sai Vachan.